Demonstrate an improvement of 5% for new construction, 3% for major renovations, or 2% for core and shell projects in the proposed building performance rating compared with the baseline building performance rating. Calculate the baseline building performance according to ANSI/ASHRAE/IESNA Standard 90.1–2010, Appendix G, with errata (or a USGBC-approved equivalent standard for projects outside the U.S.), using a simulation model. Projects must meet the minimum percentage savings before taking credit for renewable energy systems. If unregulated loads are not identical for both the baseline and the proposed building performance rating, and the simulation program cannot accurately model the savings, follow the exceptional calculation method (ANSI/ASHRAE/IESNA Standard 90.1–2010, G2.5). Alternatively, use the COMNET Modeling Guidelines and Procedures to document measures that reduce unregulated loads. Comply with the mandatory and prescriptive provisions of ANSI/ASHRAE/IESNA Standard 90.1-2010, with errata (or USGBC approved equivalent standard for projects outside the U.S.). Comply with Section 1: Design Process Strategies, Section 2: Core Performance Requirements, and the following three strategies from Section 3: Enhanced Performance Strategies, as applicable. Where standards conflict, follow the more stringent of the two. For projects outside the U.S., consult ANSI/ASHRAE/IESNA Standard 90.1-2010, Appendixes B and D, to determine the appropriate climate zone. The following pilot alternative compliance paths are available for this prerequisite. See the pilot credit library for more information. Projects in Canada may instead demonstrate a percentage improvement in the proposed building performance rating compared with the baseline according to the National Energy Code for Buildings (NECB) 2011. The same percentage cost improvement in energy performance is required to meet the Prerequisite, and the same points for cost percentage improvement in energy performance are applicable for the Credit. The following conditions (where applicable) must be met. Note that unless otherwise noted, CanQUEST (the Canadian energy modelling software based on eQUEST that performs NECB 2011 compliance runs) does not implement many of these conditions correctly and would require corresponding modifications to the Reference case. ASHRAE 90.1-2010 mandatory requirements must be met, in addition to the performance path limitations referenced in the NECB 2011 Sections 3.4.1.2, 5.4.1.2 and 6.4.1.2. In cases where ASHRAE and the NECBC reference requirements concerning the same item, the more stringent requirement shall be adhered to. Maintain the same FWR (as defined by NECB, including doors) for the Reference as exists in the Proposed Design, up to the prescribed maximum. If the Proposed Design’s FWR exceeds the prescribed FWR, scale down the fenestrations in the Reference case accordingly. Maintain the same SRR for the Reference as exists in the Proposed Design, up to the prescribed 5% maximum. If the Proposed Design’s SRR exceeds 5%, scale down the skylights in the Reference case accordingly. Proposed and reference (baseline) outside air rates shall be modeled as per ASHRAE 90.1 – 2010 (G3.1.2.6). Provide for the same demand ventilation requirements as described in ASHRAE Appendix G3.1.1.d. Provide for the same chiller heat recovery requirements as applies to ASHRAE. Reset the minimum supply air temperature to satisfy the cooling requirements of the warmest zone, as stipulated in NECB Section 5.2.8.8. Note that this control setting is already corrected in CanQUEST for the Reference case. The 2% allowance may be applied, but based on the net opaque wall area, not the entire building envelope area. Model existing components consistent with ASHRAE and LEED provisions. Fully account for all energy end-uses in the energy performance modelling. Option 1, Path 1 - Do not apply ASHRAE 90.1-2010 requirements for purchased heating and cooling. Under this ACP, purchased heating and cooling (as applicable) are modeled as cost-neutral in the baseline and proposed case. Local rates for purchased heating (fossil fuel based) and cooling are used to establish the purchased heating and cooling costs. The energy model's scope accounts for only downstream equipment, plus purchased heating and cooling. NECB clause 8.4.3.6 does not apply for LEED projects. Model baseline systems in accordance with NECB requirements, with DX coils replaced with chilled water coils if purchased cooling is present and fossil-fired furnaces replaced with hot water coils if purchased heating is present. Option 1, Path 2: Do not apply ASHRAE 90.1-2010 requirements for baseline systems. Model baseline systems in accordance with NECB requirements for onsite generated equipment (i.e. 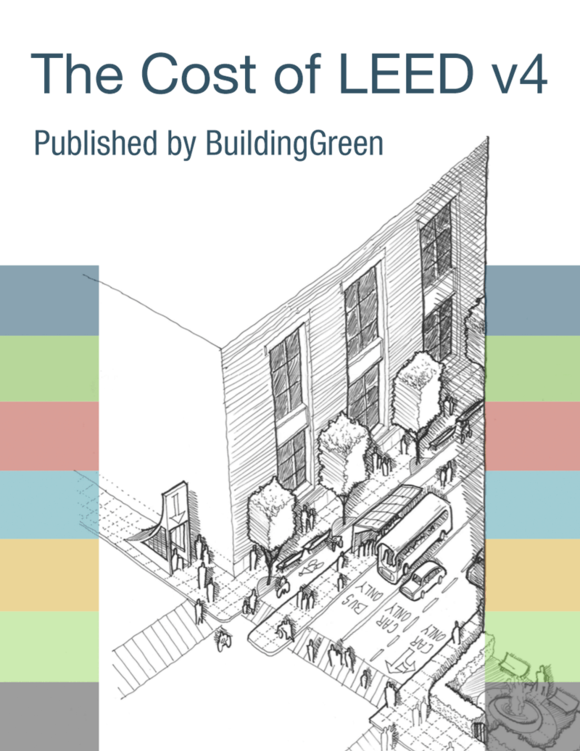 assume building is not connected to a DES and the proposed building is modeled with a virtual plant according to LEED v4 Reference Guide requirements).